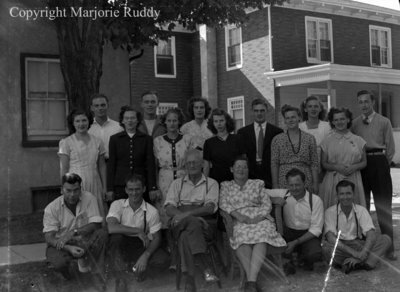 A black and white large format negative of an unidentified family of 18 people taken outside. In the background are two houses. Unidentified Family, c.1950, Marjorie Ruddy. Whitby Archives A2013_040_407.